Susanna Swart was born in Pretoria in 1967. In 1989 she graduated from the University of Pretoria with a Bachelor’s of Fine Arts degree majoring in sculpture and visual communication. 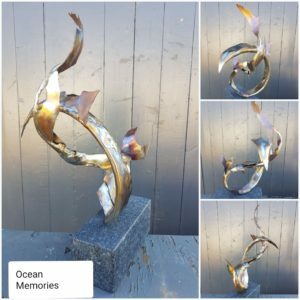 In 1994, after having pursued a four year apprenticeship at the Johnson Atelier Technical Institute of Sculpture in New Jersey, USA, Susanna received her technical certifications in all aspects of foundry work. 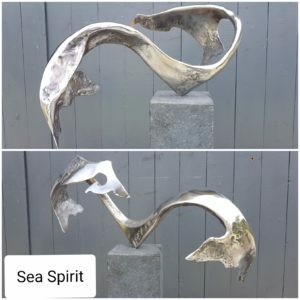 She also gained valuable experience in working with various materials including bronze alloys, mild and stainless steels, aluminium, cupro-nickel, cast iron and silver. 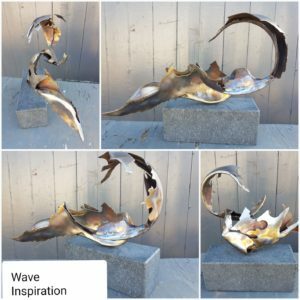 After working for two years in Belgium, Susanna returned to South Africa and now produces sculpture that encompasses her love of the land and its people. The veld, its metaphysical beings, and the ancient mysteries of Africa are reflected in her work. Susanna has been active in showing, guest lecturing, judging and curating competitions in South Africa. She has been awarded the ABSA/Association of the Arts (Pretoria) Medal for Achievement for contribution to the arts.